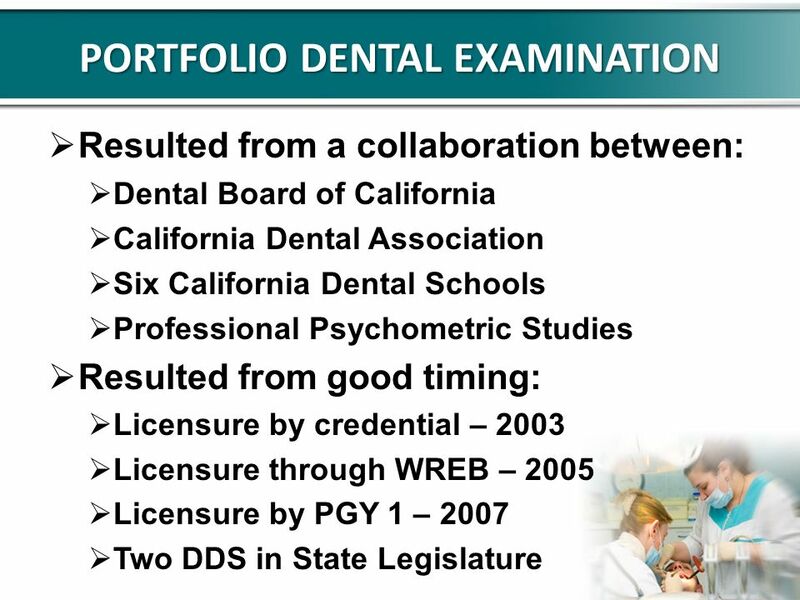 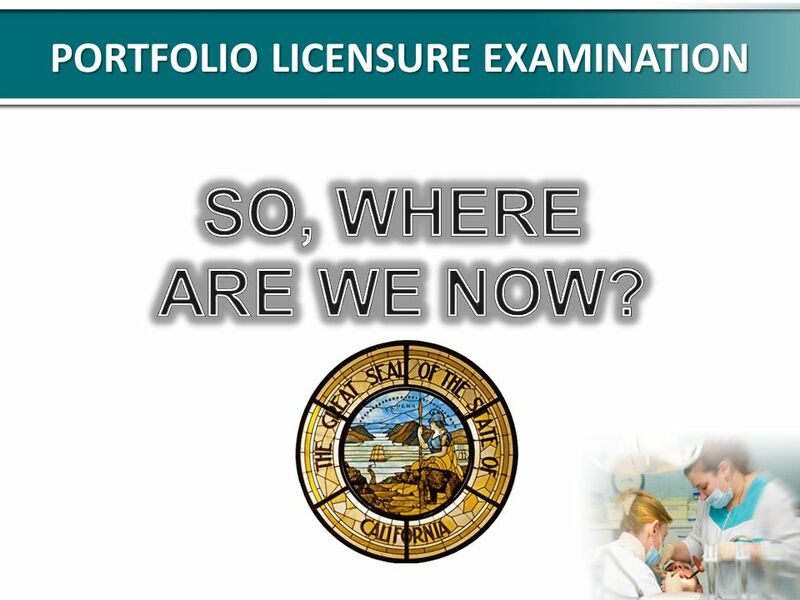 LICENSE TO DRILL Anaheim, California March 4, 2011 Steven G. Morrow, DDS, MS.
7 PORTFOLIO DENTAL EXAMINATION What is a Portfolio Examination? 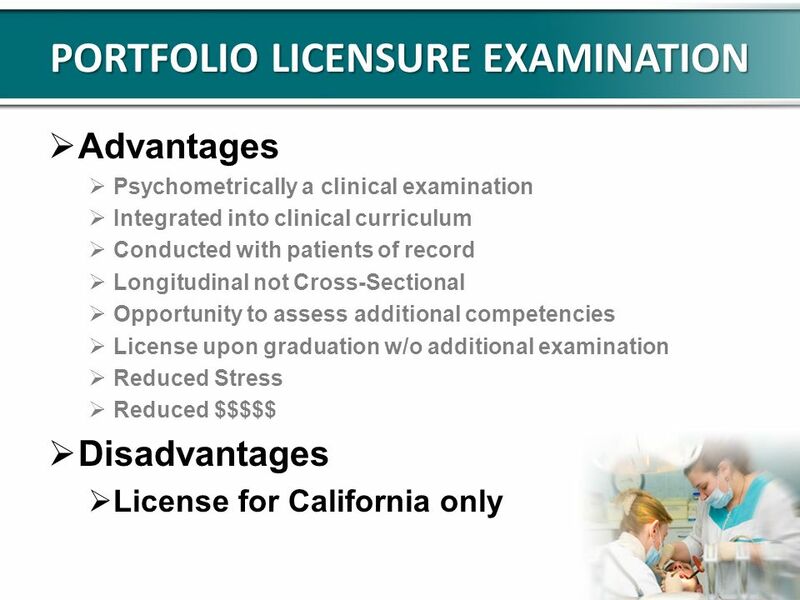 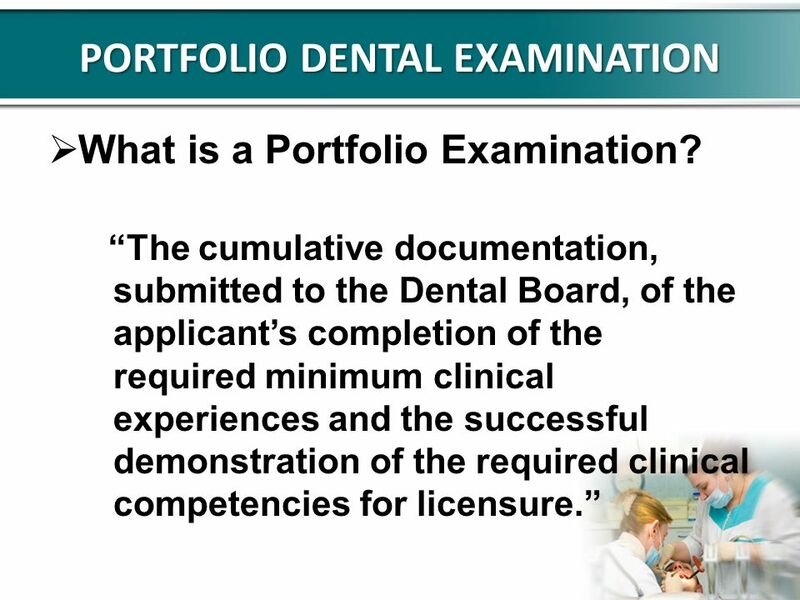 The cumulative documentation, submitted to the Dental Board, of the applicants completion of the required minimum clinical experiences and the successful demonstration of the required clinical competencies for licensure. 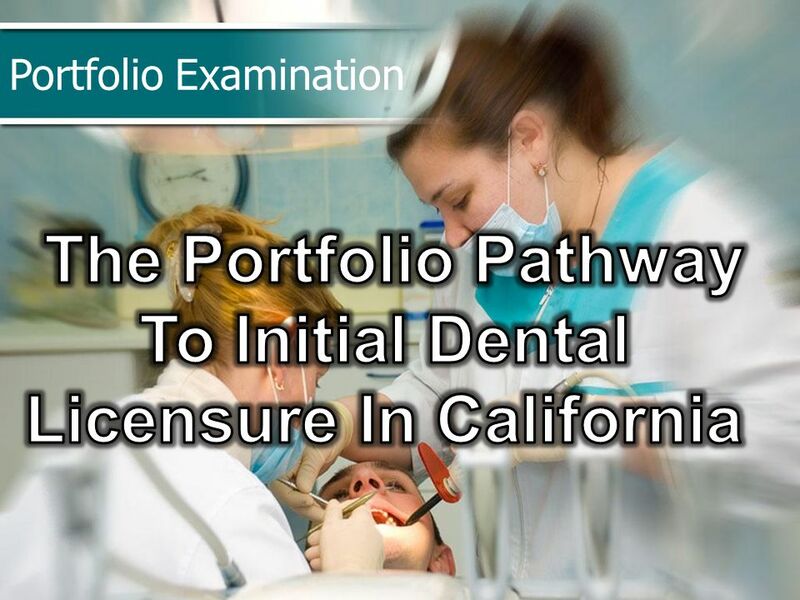 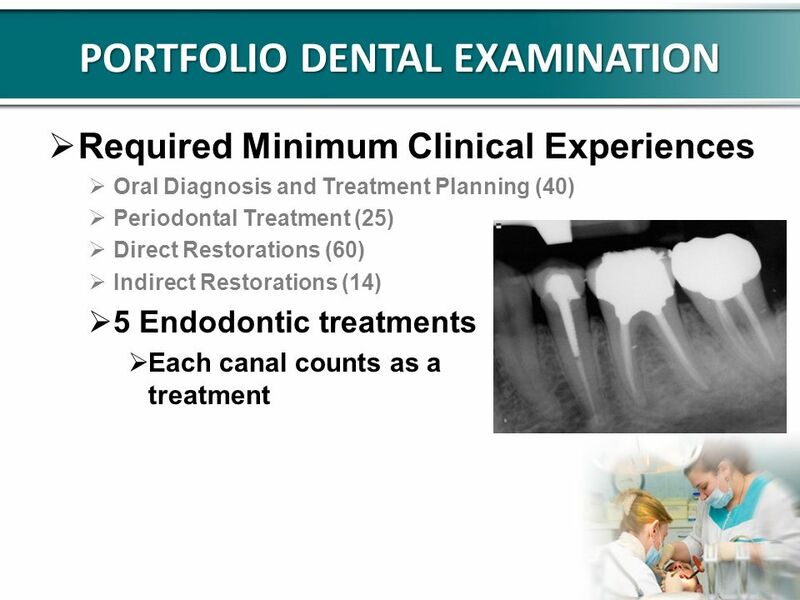 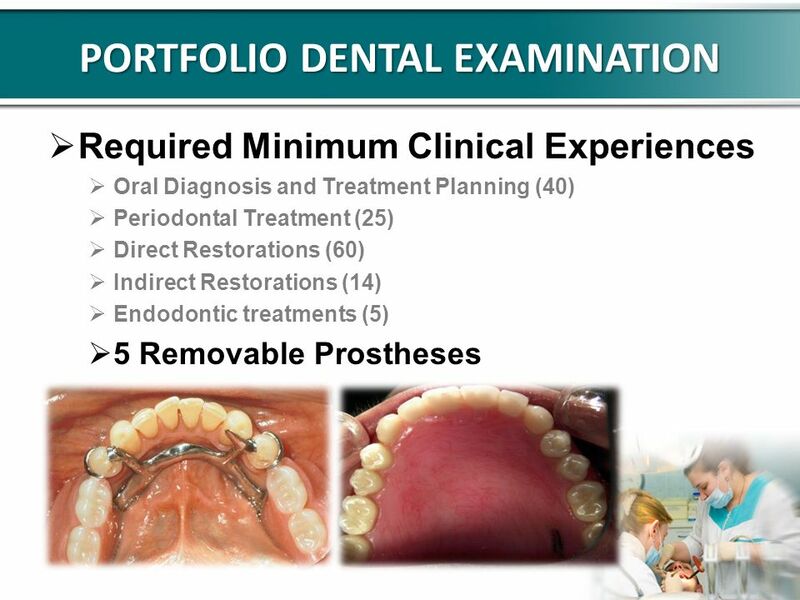 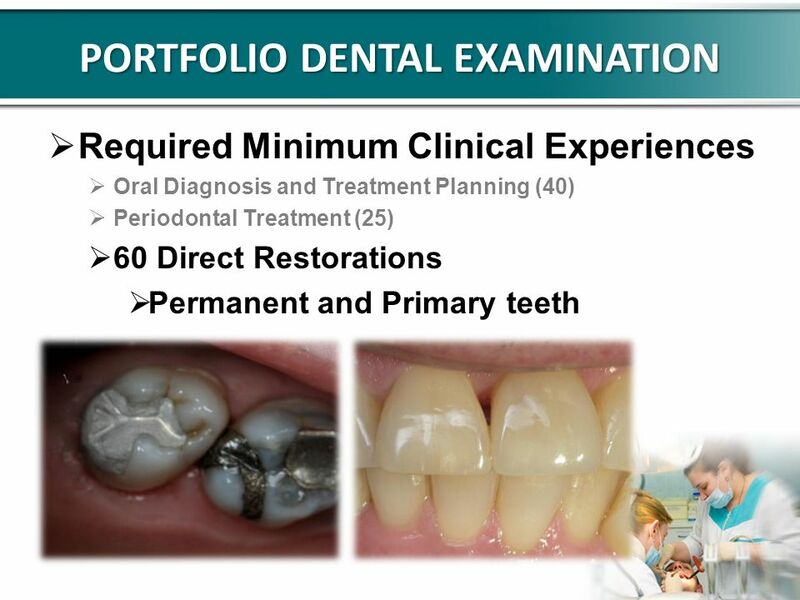 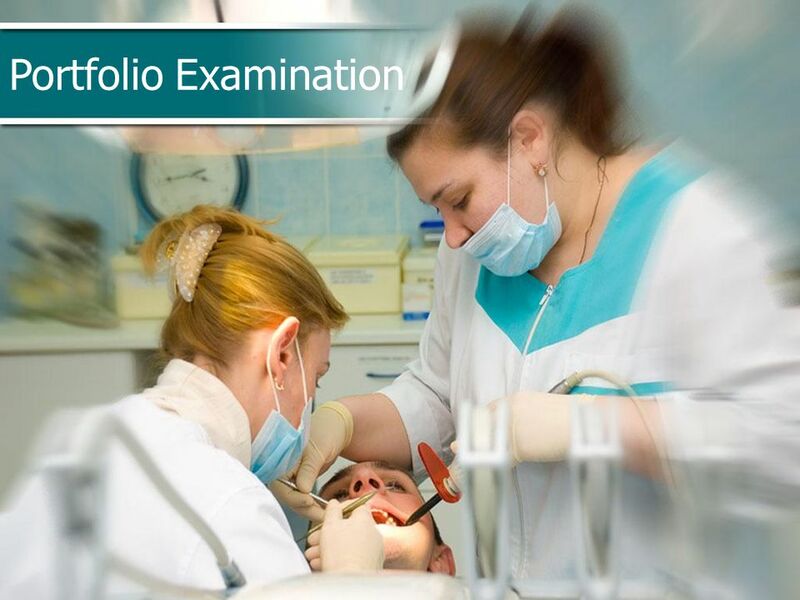 8 PORTFOLIO DENTAL EXAMINATION What is a Portfolio Examination? The cumulative documentation, submitted to the Dental Board, of the applicants completion of the required minimum clinical experiences and the successful demonstration of the required clinical competencies for licensure. 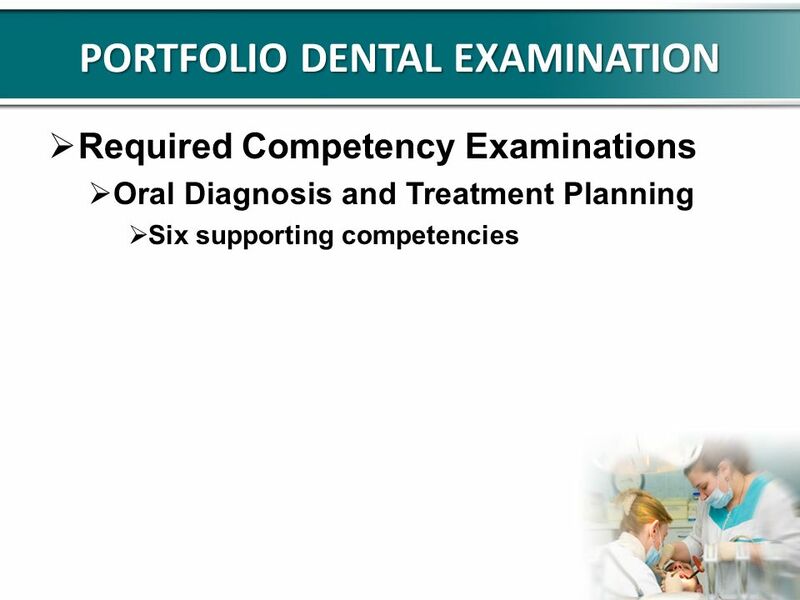 18 PORTFOLIO DENTAL EXAMINATION Required Competency Examinations (final year of dental training) Each competency examination will be graded in accordance with the Boards grading criteria on forms prescribed by the Board. 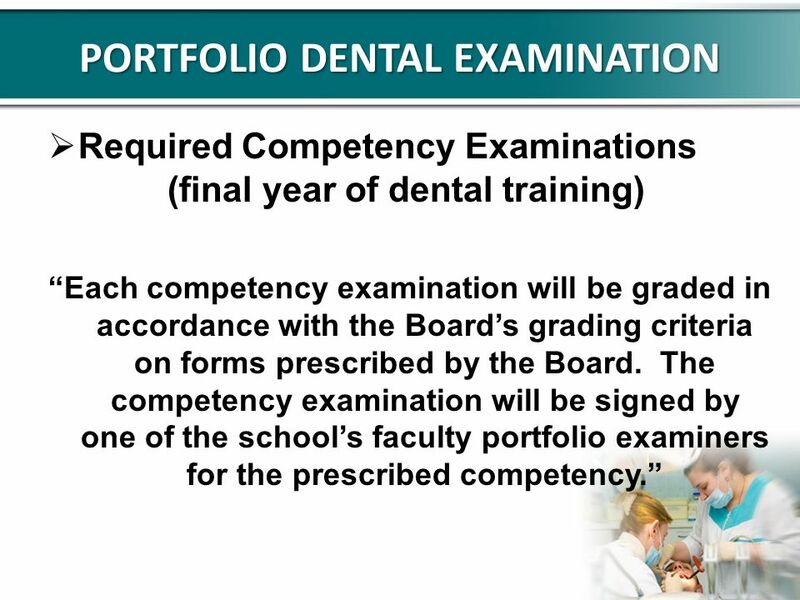 The competency examination will be signed by one of the schools faculty portfolio examiners for the prescribed competency. 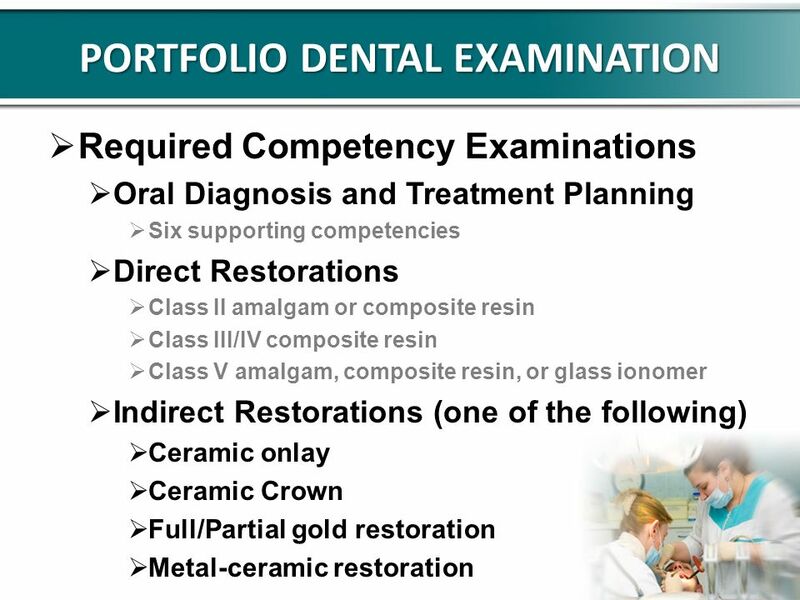 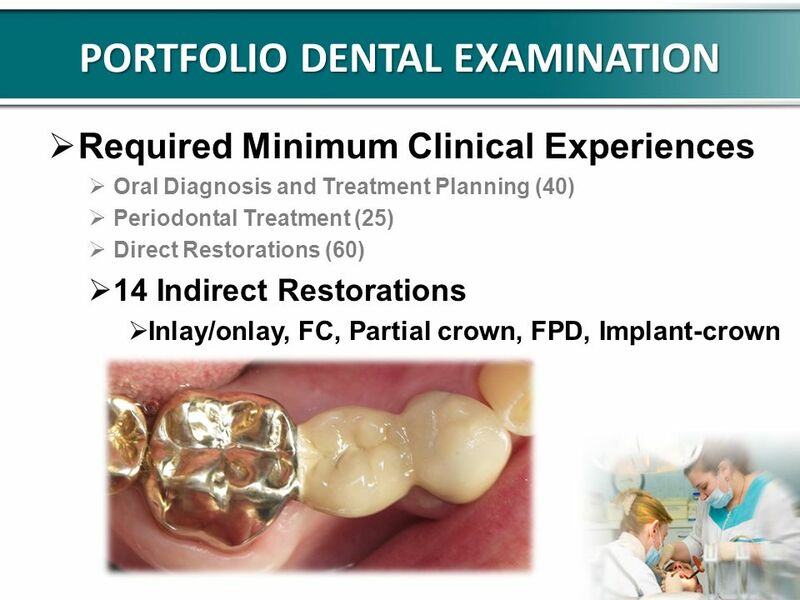 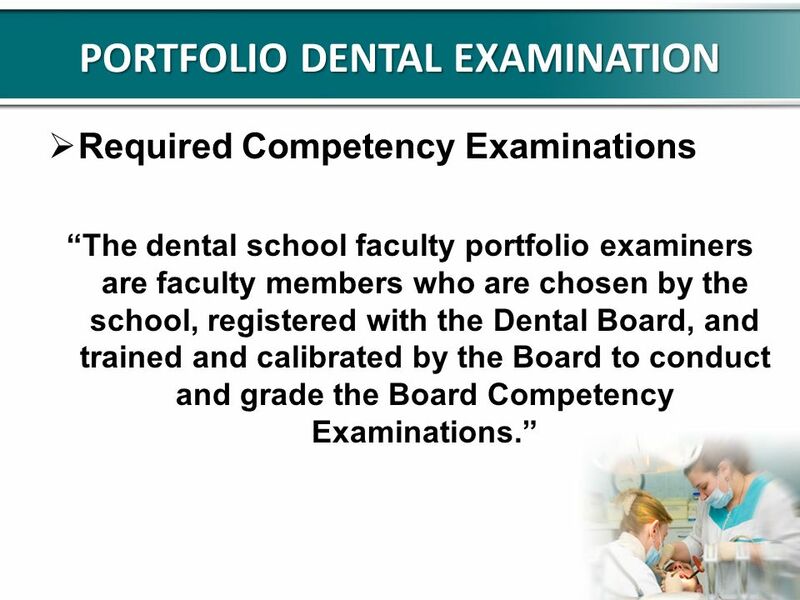 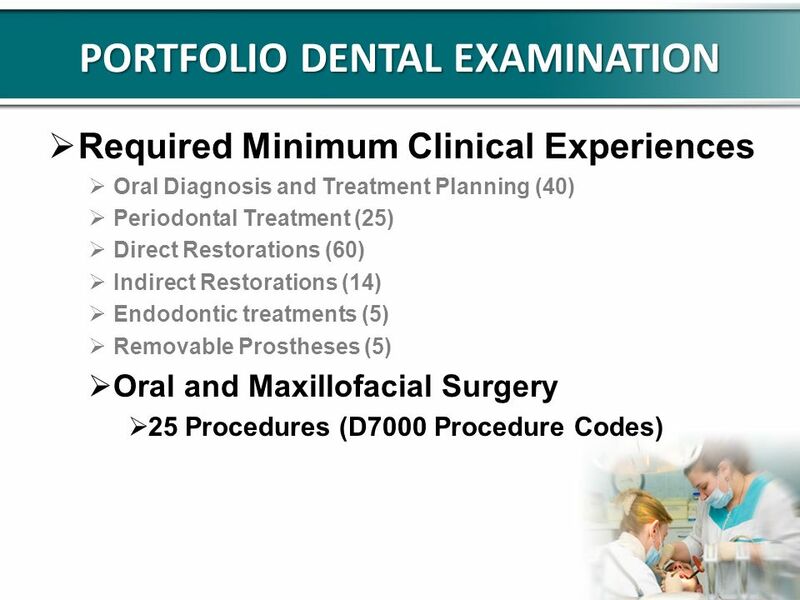 19 PORTFOLIO DENTAL EXAMINATION Required Competency Examinations The dental school faculty portfolio examiners are faculty members who are chosen by the school, registered with the Dental Board, and trained and calibrated by the Board to conduct and grade the Board Competency Examinations. 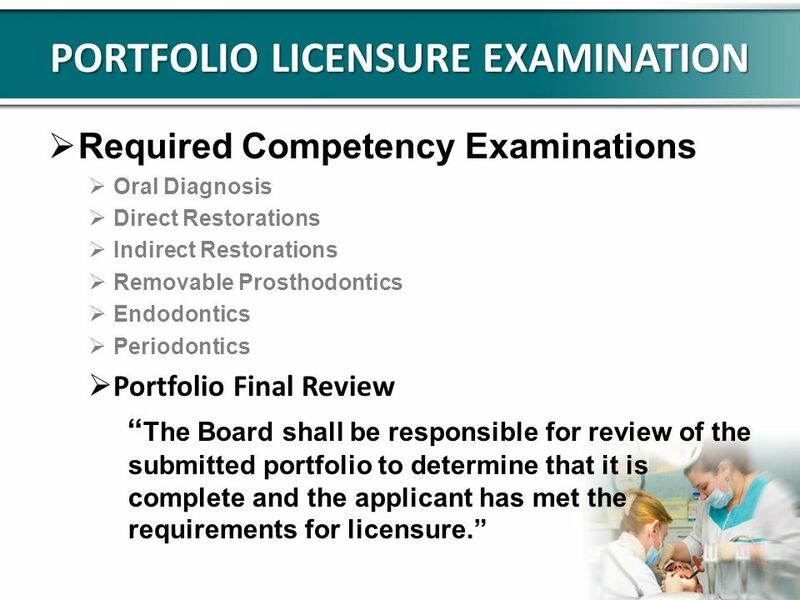 26 PORTFOLIO LICENSURE EXAMINATION Required Competency Examinations Oral Diagnosis Direct Restorations Indirect Restorations Removable Prosthodontics Endodontics Periodontics Portfolio Final Review The Board shall be responsible for review of the submitted portfolio to determine that it is complete and the applicant has met the requirements for licensure. 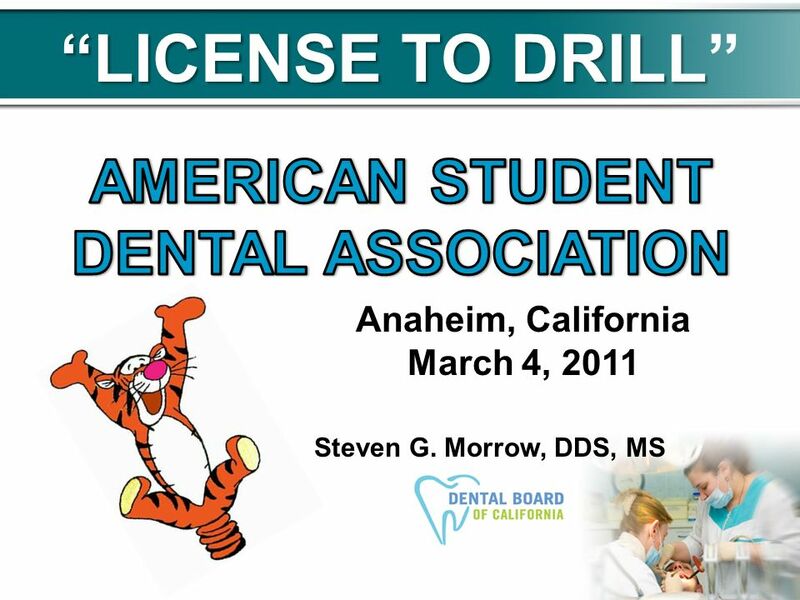 Download ppt "LICENSE TO DRILL Anaheim, California March 4, 2011 Steven G. Morrow, DDS, MS."
Minnesota Board of Dentistry The Wonderful World of Dentistry: License to Drill Marshall Shragg, MPH March 4 th, 2011. 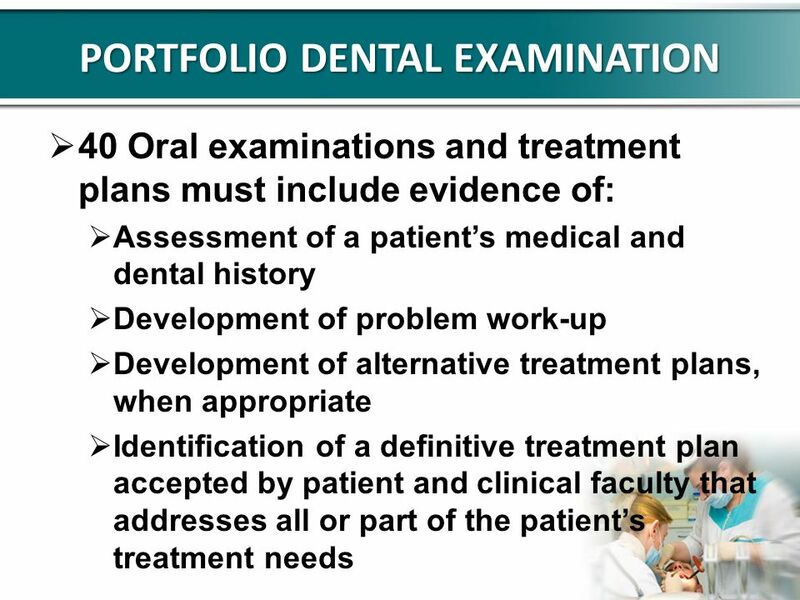 Michigan Community Dental Clinics Quality Improvement with a Patient Centered Perspective August 5, 2014. 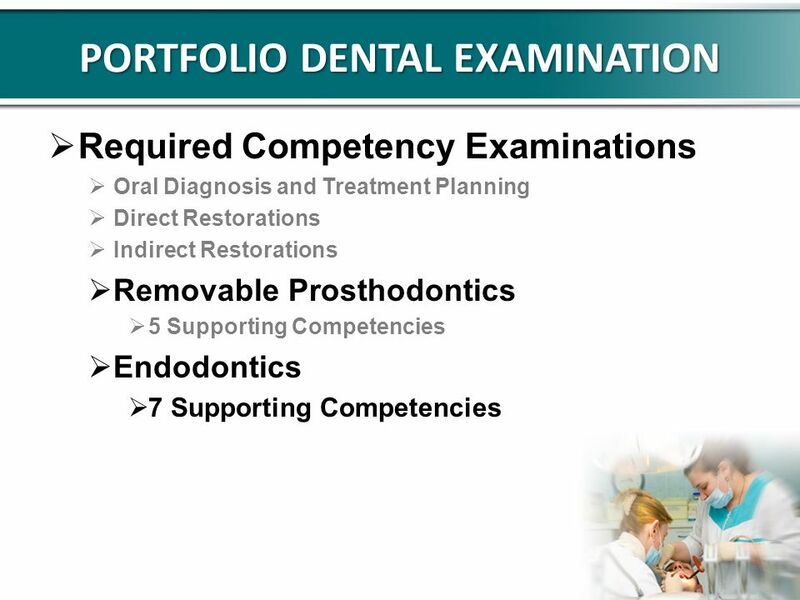 2013 Predoctoral Educators Workshop The Art and Science of Educating to Competency Eros S. Chaves, DDS, MS, DMD, MBA Diplomate, American Board of Periodontology. 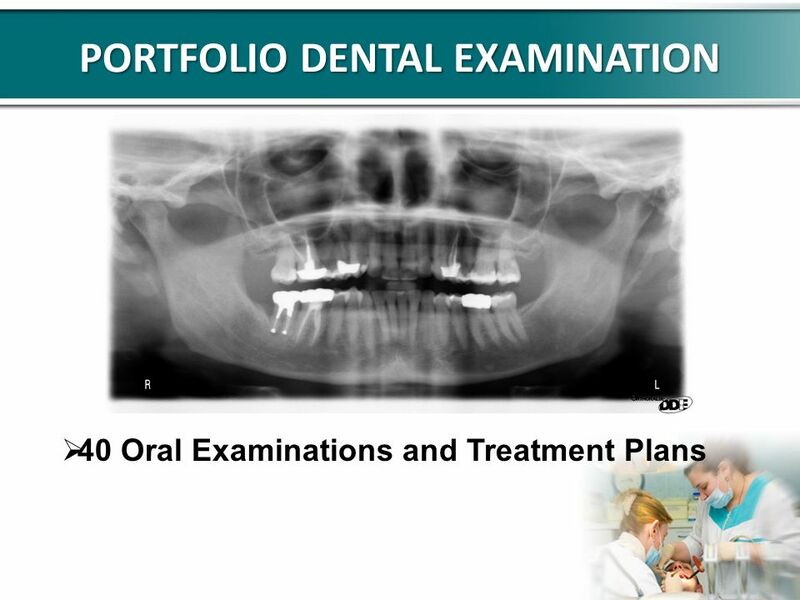 Chapter 22 Dental Care Health Care Science Technology Copyright © The McGraw-Hill Companies, Inc.
CPT AYCOCK. 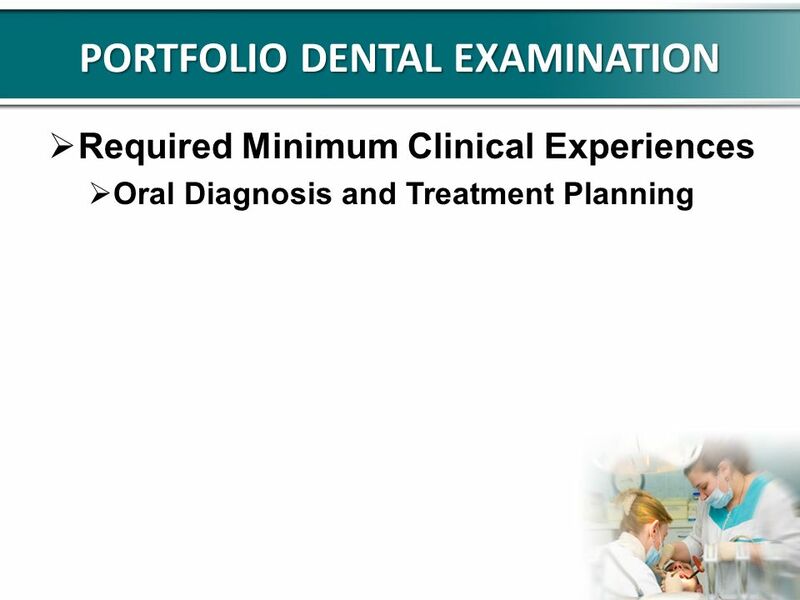 In 1972, under the sponsorship of the late Congressman F. Edward Hébert, Congress enacted the Uniformed Services Health Professions Revitalization. 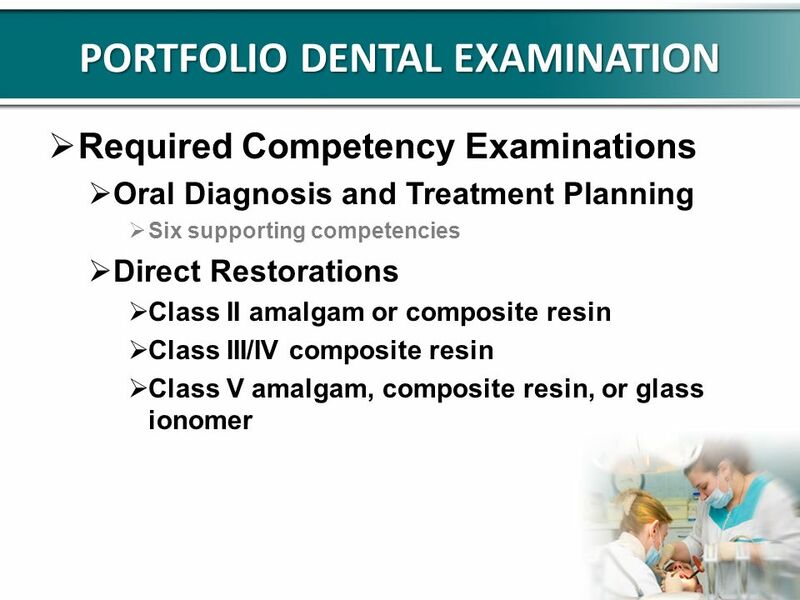 1 Virginia Board of Dentistry Dental Assistant II January 19, 2011. 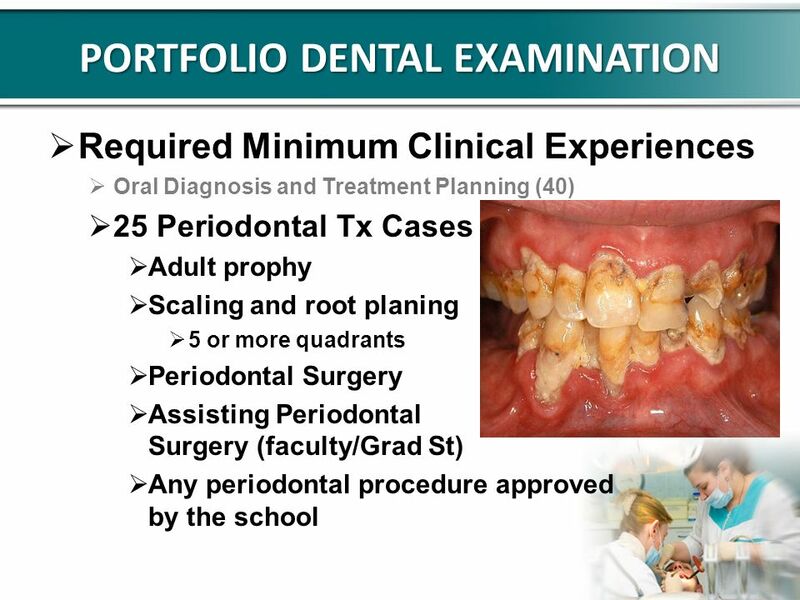 THE SUMMER MENTORSHIP PROGRAM (SMP) AT PENN DENTAL MEDICINE Lamarr Holland. 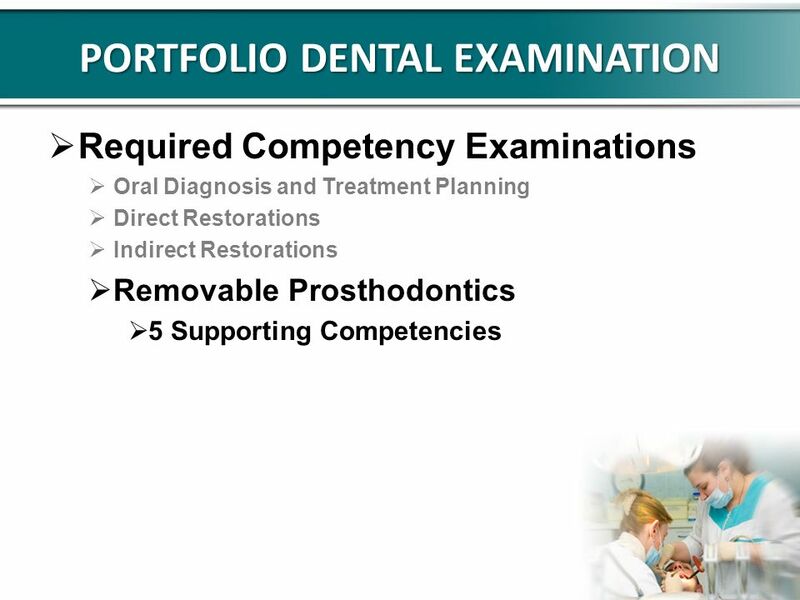 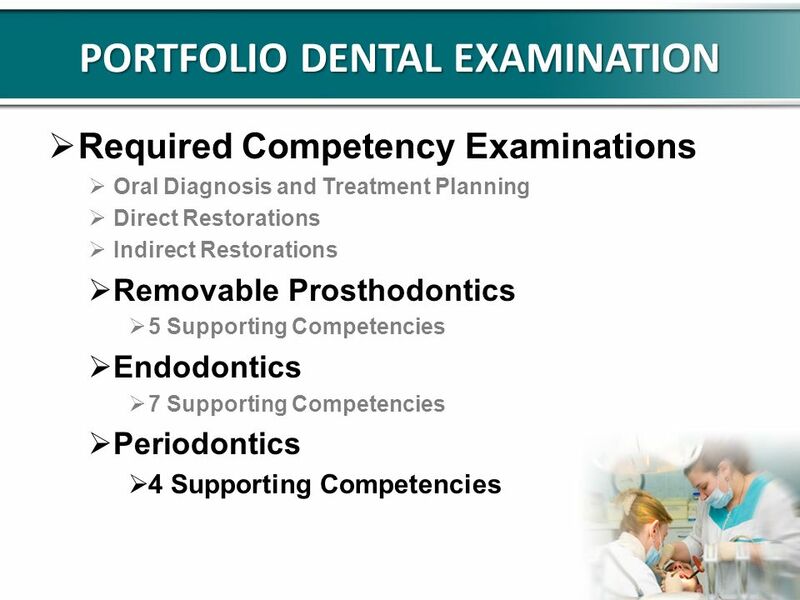 Profile and competency for dentist Profiles Competencies. 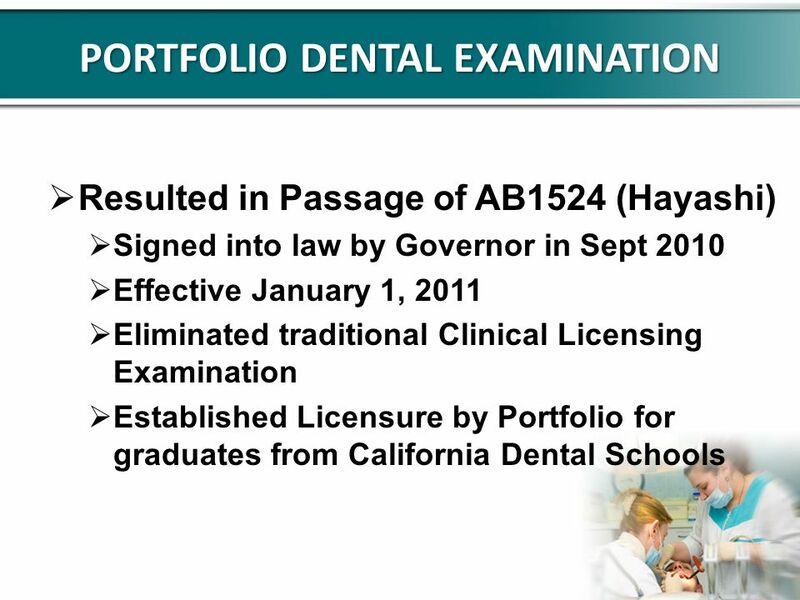 DentalBlue Something to Smile About Lincoln County Health System. 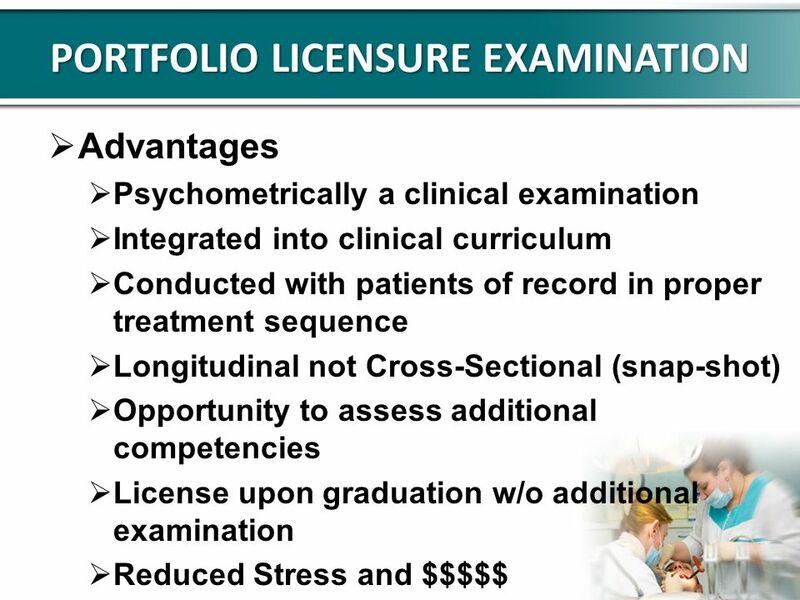 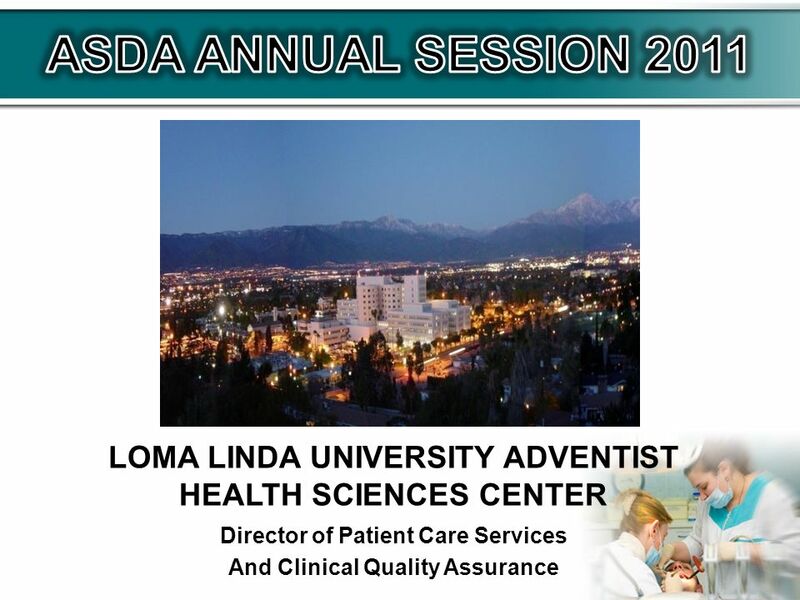 Telemedicine Credentialing and Privileging October 16, 2014.